Rated 4.0 out of 5.0 based on 290 surveys. 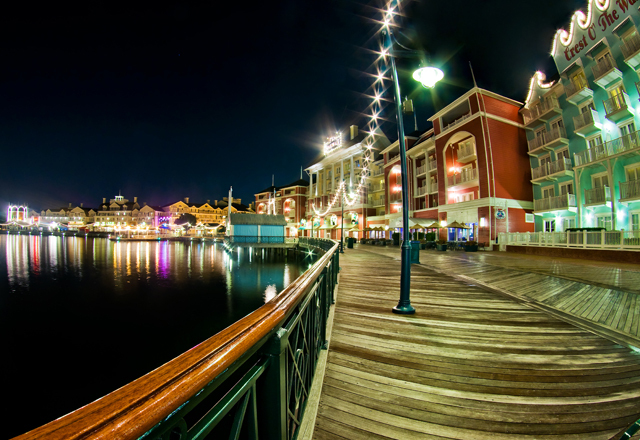 The BoardWalk Inn is a deluxe Walt Disney World resort located on Crescent Lake. Along with its Disney Vacation Club sister, Boardwalk Villas, the property is within walking distance to Epcot and Disney's Hollywood Studios, making this one of the best Disney World hotels for proximity to dining, shopping, and entertainment. Other resorts in this area include the Yacht & Beach Clubs and the Swan & Dolphin hotels. The Boardwalk Inn and Villas are well staffed and offer excellent service. The BoardWalk complex is a detailed replica of an early 20th-century Atlantic coast seaside boardwalk. Restaurants and shops occupy the street-level boardwalk. Painted bright red and yellow, alternating with paler blue and green, the BoardWalk resort is the only Disney hotel that uses neon signage as an architectural detail. The majority of BoardWalk Inn’s 378 rooms measure 371 square feet. Most contain two queen-size beds with hardwood headboards, an upholstered sleeper sofa, a cherry desk and chair, a mini-fridge, a coffee maker, and a ceiling fan. Decor includes yellow-and-white-striped wallpaper and striped green curtains. Closet space exceeds that of other Disney deluxe-level rooms. Most rooms have balconies. 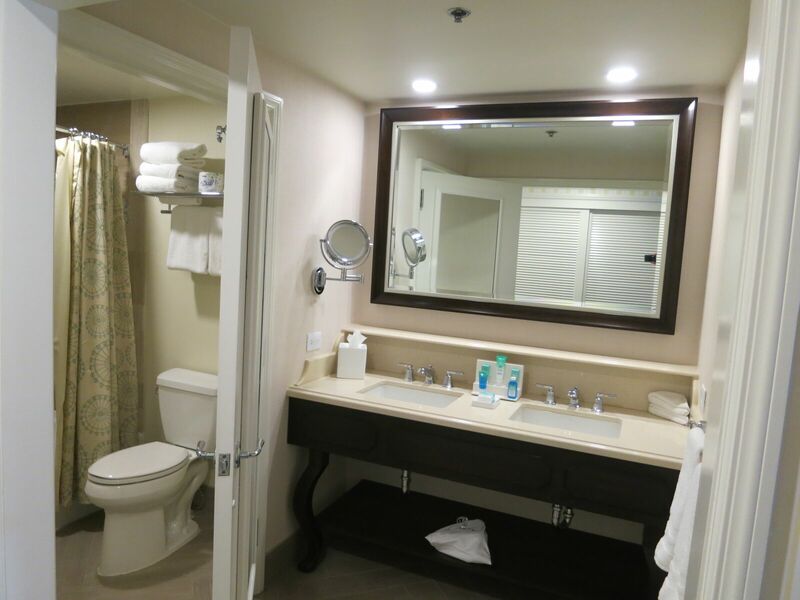 BoardWalk Inn's bathrooms are modestly-sized for a Disney deluxe resort. Water pressure in the shower is adequate, but probably less than what you're used to at home. A separate dressing area next to the bathroom includes two sinks and ample counter space. Combined with the shower/toilet rooms, this means that three people can have private dressing space at the same time. Standard View: Standard rooms generally have unremarkable views of landscaping or parking lots. These are the least expensive rooms at BoardWalk Inn, but there are some gems to be found in this category, though, using our BoardWalk Inn Room Finder. Garden View: Garden view rooms have views of trees or foliage. Water View: Some water view rooms at BoardWalk Inn have a view of Crescent Lake, but the "water" part of "water view" can also refer to the canal or to a pool. 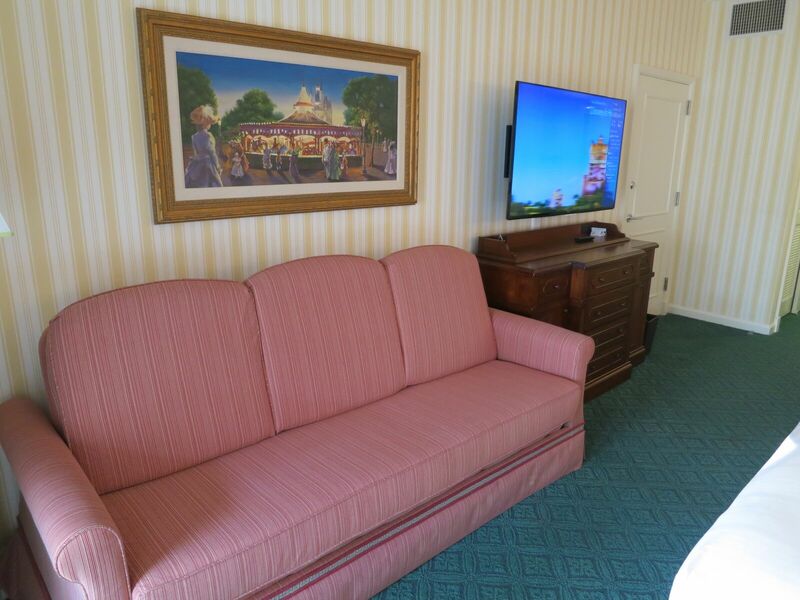 The deluxe Disney hotels all include a subset rooms offered with addition amenities and more personalized serivce. These "concierge level" or "club level" rooms have a different name at each hotel; at the BoardWalk they are known as the Innkeepers Club. The Innskeeper Club is comprised of about 60 rooms, located on two floors. Though most of the Innskeeper rooms are physically similar to the standard BoardWalk hotel rooms, there are also a handful of suites with additional bedrooms, significantly larger square footage, or features such as in-room kitchen facilities. 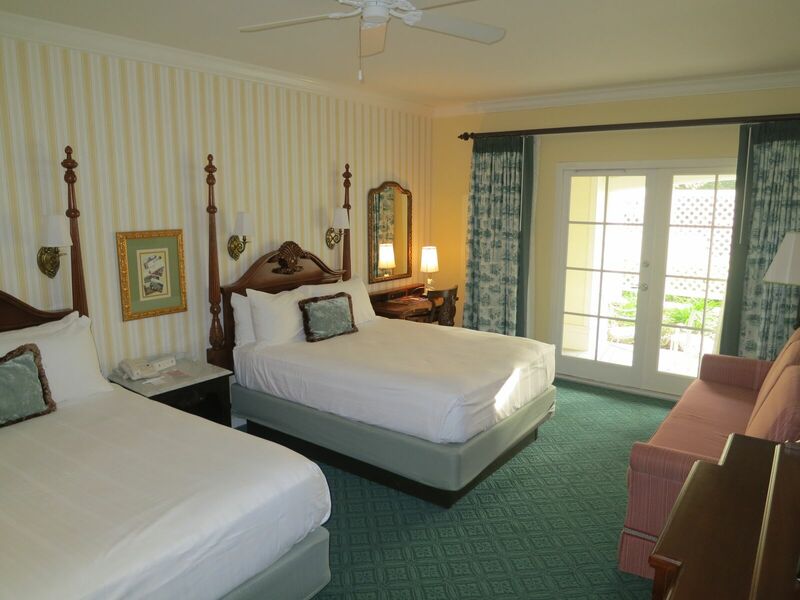 Disney's BoardWalk Inn Resort has approximately 20 handicap-accessible rooms in a variety of configurations to accommodate guests with hearing or mobility issues. Mobility access rooms comply with Florida's Accessibility Code, with changes to everything from bed, countertop, and dresser drawer height, to door widths, wheelchair ramps, and more. A key benefit of staying at the BoardWalk Inn is the close proximity to the dining opportunities at Epcot and Disney’s Hollywood Studios (with park admission). Additionally, the many restaurants at the Swan & Dolphin and Yacht & Beach Club resorts are easily accessible on foot. Guests staying at the BoardWalk can be at more than 100 dining venues within 15 minutes. If you're staying at a Disney value resort, you might only have two or three options within that time frame. Flying Fish Cafe Chef Tim Keating, a repeat James Beard Foundation finalist, is a proponent of serving fresh Florida products, from seafood to meats, fruits, and vegetables. Trattoria al Forno The kitchen is doing things right—making mozzarella and ciabatta daily, rolling out fresh pasta, and slicing cured meats with a beautiful Italian flywheel. Trattoria Al Forno offers a character breakfast featuring "royal couples" such as Rapunzel & Flynn Rider and Ariel & Prince Eric. Big River Grille and Brewing Works If you're looking for handcrafted beers, this is the place - they serve five beers, including a light lager, a robust ale, and seasonal choices. A good late-night dining choice. Outdoor seating and service is available, weather permitting. BoardWalk Bakery BoardWalk Bakery is small counter service restaurant with a limited menu which is, not surprisingly, heavy on dessert fare such as cupcakes and cake pops. The savory menu is made up of sandwiches and salads. During breakfast hours BoardWalk Bakery sells a platter of eggs and breakfast meats as well as a breakfast croissant sandwich. Seating is a outdoor café tables along the boardwalk. BoardWalk Pizza Window Four or five pizza options sold by the pie or by the slice. Outdoor seating only. BoardWalk To Go BoardWalk To Go sells hot dogs, corn dogs, ravioli, mozzarella sticks, chicken, meatball sub, nachos, fries, onion rings, beverages. Ample Hills Creamery Fresh-churned ice cream in a variety of innovative flavors. Funnel Cake Stand Carnival-style fried dough. AbracadaBAR Very good cocktails, a decent selection of beer and wine, and a few appetizers are what await you in this old-time magic themed bar. Make sure you have a look around because there are some fun details that explain the story of the "missing magicians." Belle Vue Lounge Belle Vue Lounge has indoor seating and a full drink menu with several beer selections, wines, and a selection of spirits. In the morning, Belle Vue sells coffee and a small selection of pastries. Leaping Horse Libations Located adjacent to the Luna Park Pool. Leaping Horse Libations has a small selection of specialty drinks, beer and wine, as well as limited grab-and-go dining options. BoardWalk Joe's A walk-up counter with a small selection of margaritas. You can also grab a pretzel or a bag of roasted almonds for a snack. In-room Dining BoardWalk Inn offers a full room service menu. Pools: BoardWalk Inn has two pools, plus a third pool at the adjacent BoardWalk Villas. The main feature pool, Luna Park Pool, is notable for the water slide featuring a larger-than-life clown mouth exit. The Luna Park pool area also includes a hot tub, kiddie pool, and water play area, as well as a children’s playground. See our Disney Resort Pools Fact Sheet for additional information. Fitness Center: Muscles & Bustles Health Club, open 24 hours, features cardio equipment, weight machines, free weights, and a variety of mats and stability equipment. Outdoor yoga classes and other group fitness activities are frequently offered. Arcade: Slide Show Games Arcade includes recent video and arcade games. Most cost between $.50-$2.00 per play. Bike Rentals: Guests may rent traditional bicycles or fancy surrey bikes by the hour. The bike rental stand is located on the boardwalk, near the boat dock. Water Sports: Boat rentals and fishing are available at the Yacht Club marina, across Crescent Lake from the BoardWalk. Jogging: Walkers, joggers and runners can find a jogging trail at Disney's BoardWalk Inn Resort. The scenic 0.8-mile course wraps around around Crescent Lake. Guests wishing to create a longer loop can add the path to/from Disney's Hollywood Studios. Nightlife: Guests over age 21 can enjoy Jellyrolls, a bar with dueling pianos and audience sing-alongs or Atlantic Dance Hall, a nightclub that plays songs from the ‘80s, ‘90s and today. Business Needs: The BoardWalk Inn is attached to the BoardWalk Convention Center. The Convention Center includes most amenities needed by business travelers including a shipping center, printing and copying services, and meeting space. Online Check In: BoardWalk Inn participates in Disney's Online Check-In program, which allows you to you receive your room number electronically and bypass the hotel lobby. See our Online Check-In overview for more information. MagicBands: MagicBands are rubber/plastic wrist bands which function as your room key and resort identification. Depending on what options you've selected, your MagicBand may also function as your park ticket, dining plan ticket, or charge card. Dining Reservations : Dining reservation are best made online in advance or on your phone or tablet during your visit. If you need assistance stop by the concierge desk or the check in podium of any Walt Disney World table service restaurant. Laundry: A guest-use laundry room is located near the third floor elevators. Cost is $3 per wash, and another $3 per dry cycle. See our Disney Resort Laundry page for more information. Lost and Found: If you lose something during your stay, contact Disney's BoardWalk Inn Resort's Lost and Found department by calling (407) 939-6200. Shopping: BoardWalk Inn's main gift shop is Screen Door General Store. It is located on the boardwalk near the boat dock. As you'd expect from a Disney gift shop. Screen Door has a decent collection of souvenirs ranging from small trinkets such as keychains and pens, to embroidered jackets and Disney princess dresses. 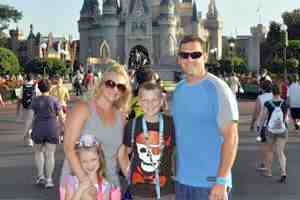 Childcare : Walt Disney World contracts for in-room childcare through an independent sitter agency, Kid's Nite Out. See our Walt Disney World resort childcare page for more information. 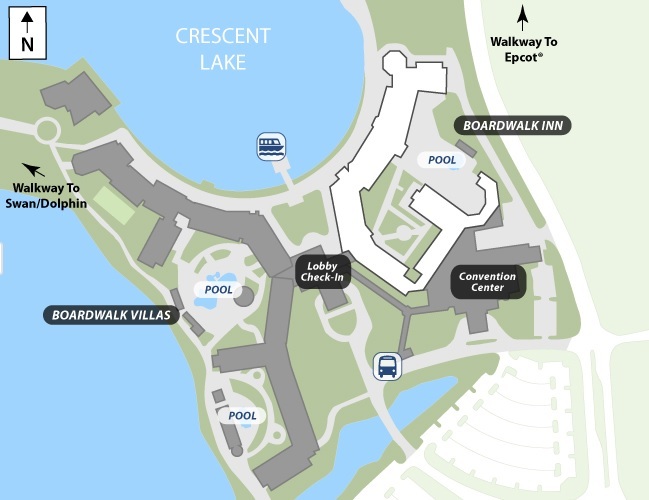 Disney's BoardWalk Inn Resort is just off of I-4 in Lake Buena Vista. Take I-4 Exit 67 - Epcot Center Dr.. Take Buena Vista Dr for about 1.2 miles to Epcot Resorts Blvd. Turn right on Epcot Resorts Blvs and BoardWalk Inn will be on your left. A security gate guards the entrance to BoardWalk Inn's grounds. If you arrive by car, you'll need to provide photo ID at the gate; it's not necessary to provide your reservation number or paperwork. Guests keeping a car at the Boardwalk Inn overnight will be charged $24 per day for standard self-parking or $33 per day for valet parking. If you arrive at Orlando International Airport, Disney's free Magical Express bus service will take you and your luggage directly from the airport to your hotel, then back to the airport when it's time for your flight home. For more information see our Disney's Magical Express Frequently Asked Questions page. Sanford International Airport is about a 40-minute drive to Disney's BoardWalk Inn Resort. If you're not renting a car, be aware that Sanford's airport offers fewer transportation options than Orlando's, and Sanford's options are generally much more expensive. Disney provides free bus service from Disney's BoardWalk Inn Resort to Magic Kingdom, Disney's Animal Kingdom, Blizzard Beach, Typhoon Lagoon, and Disney Springs. Disney's BoardWalk Inn Resort's bus stops sit along the front wall of the lobby, between the lobby and check-in parking lot. Epcot and Disney's Hollywood Studios can also be accessed on foot or by boat from the dock near on the BoardWalk. Boat service may be suspended during thunderstorms, so if it's raining or looks like it's about to, Disney will provide buses. Ask a Disney cast member about bus schedules, and they will tell you that buses run about every 20 minutes. In reality, BoardWalk Inn's bus schedule varies considerably depending on the time of day and where you're going. For example, if you're headed to a theme park between 8 AM and 11 AM, you'll wait approximately 12 minutes, on average, for a bus to arrive. Bus schedules to the water parks and Disney Springs are less frequent. Buses run a little slower from around 11 AM to around 4 PM, when most people are already in a park. Disney's evening buses are scheduled around the theme parks' closing times, where most of the fleet is deployed to get guests back to their hotel. Your waits to return to your hotel from a theme park should average out to around 30 minutes under most circumstances. If you have access car, it's faster to drive to Typhoon Lagoon, Blizzard Beach, Disney's Animal Kingdom, and Disney Springs. Disney's bus service is faster to the Magic Kingdom. Walking is the fastest way to Epcot. Walk or take the boat to Disney's Hollywood Studios. Getting to another hotel from Disney's BoardWalk Inn Resort If you have dining plans at another Disney hotel, the cheapest option is to take a Disney bus from Disney's BoardWalk Inn Resort to Disney Springs or an open theme park, and then transfer to another bus heading to your destination hotel. Do the reverse to get back to Disney's BoardWalk Inn Resort. While that's free, it can take anywhere from 90 minutes to 2 hours each way. If your destination is one of the Magic Kingdom monorail resorts, and the Magic Kingdom is still open, you could take a bus to the Magic Kingdom, then either walk (to the Contemporary and Bay Lake Tower), hop on the monorail (to the Polynesian and Grand Floridian), or take a boat (to Fort Wilderness, Wilderness Lodge, the Polynesian, and the Grand Floridian). We suggest you still allow at least an hour for that. The fastest option to get from the BoardWalk Inn to another hotel is almost always to drive, or use a taxi or ride sharing service such as Uber or Lyft. Rates are generally in the $15-25 range depending on your destination. A taxi can typically get to most points in Disney World within 20 minutes (often much less), versus the one to two hours it might take using Disney's free transportation system. Taxis are available outside the lobby; if a taxi is not already sitting out front, the bell services desk also serves as a taxi stand, and they'll call one for you. To Universal Orlando If you're staying at Walt Disney World and don't have a car, Mears Transportation will shuttle you from your hotel to Universal and back for about $20 per person. Pickup and return times are at your convenience. A one-way taxi ride is around $36, and may be the cheapest option if you have three to five people. Getting to Typhoon Lagoon and Blizzard Beach from Disney's Beach Club Resort Disney does not make it particularly easy to get to and from their water parks. For Typhoon Lagoon, guests must take a bus to Disney Springs and switch to a Typhoon Lagoon bus. For Blizzard Beach, the transfer must be made at Disney's Animal Kingdom. If you're averse to waiting, your best bet may be a taxi or ride share. Regarding the BoardWalk, the transportation by bus (Animal Kingdom and Magic Kingdom) was the worst. We waited at least 40 minutes every time and almost missed a dinner reservation (for which we left 1.5 hours early). I also didn't like having multiple stops. 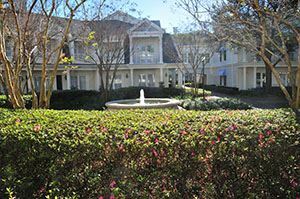 TouringPlans.com offers pictures of the view from any Disney Resort room on property. Click here for the Disney's BoardWalk Inn Resort map and to choose a room to see the view. The complex is comprised of several wings radiating from the lobby, in a rough H-shape. Crescent Lake and the promenade (pedestrian boardwalk) are to the north, the entrance is to the south, and the canal that runs to Disney’s Hollywood Studios is to the west. 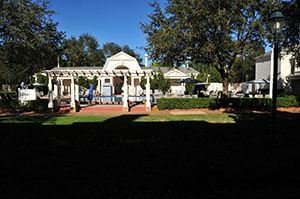 Most rooms at the Inn & Villas have a balcony or patio, though balconies on the standard upper-floor rooms alternate between large and medium. The BoardWalk Inn & Villas each share about half the frontage on the promenade, overlooking the lake. The promenade’s restaurants, shops, and attractions are spread equally between the two sections, leading to similar levels of noise and commotion. However, the Inn side is closer to Epcot and the nearby access road; this provides better views of Epcot fireworks and easier access to that park, but it also means more road noise. Room 1332: Some rooms face the resort's quiet pool. Otherwise, the Inn is actually less noisy than the more expensive Villas; there's one tranquil, enclosed courtyard, and another half-enclosed area with a quiet pool (where BoardWalk’s garden suites are). There are many rooms to avoid at the Inn, starting with rooms overlooking access roads and parking lots, and rooms looking down on the roof of the adjacent conference center. And although the aforementioned quiet rooms face courtyards, the views are pretty ho-hum. Room 1353: A lower-level standard view room. When you get right down to it, the only rooms with decent views are those fronting the promenade and lake, specifically odd-numbered rooms 3213–3259 and 4213–4259. We’re told by Disney insiders that most of these rooms are reserved more than 10 months in advance, so snagging one requires advance planning and a lot of luck. As for the others, you’re more likely to get a better view at the far less expensive Port Orleans, Caribbean Beach, or Coronado Springs Resorts. Rated 4.0 out of 5.0 based on 290 reader ratings.